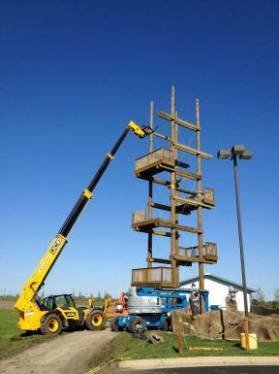 In April of 2013, Portland Bolt supplied over 1200 pounds of galvanized timber bolts to be used in a brand new attraction at the Lost Island Waterpark of Waterloo, IA. 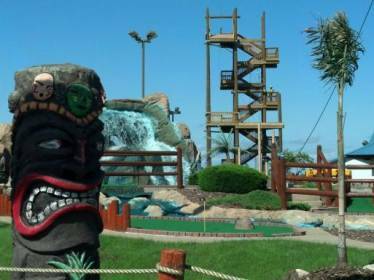 It is a truly unique zip line that stretches across the entire waterpark as a “one-of-a-kind” experience. 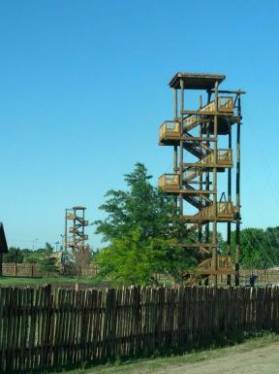 The zip line consists of two 75’ tall zip line towers which host four 660’ long zip lines back and forth. The riders will start by the Go-Kart track, and then they will fly over the waterpark at an expected 20 MPH for a combined 13,000 foot distance. 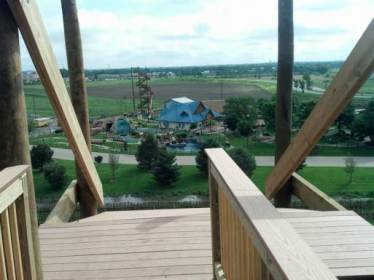 The zip line opened on June 6 and is set to be one of the park’s biggest attractions. Portland Bolt supplied 375 timber bolts, all of which were 3/4″ diameter and ranging from 18” all the way to 36” in length. Timber bolts, also known as economy and dome head bolts, are used in wood and marine applications. 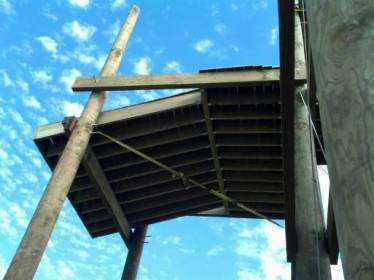 They were specifically used in the wooden towers for the zip line at Lost Island Waterpark. All of the bolts had to be hot-dip galvanized, to prevent corrosion. This was no problem for Portland Bolt due to the fact that we have our own hot-dipped galvanizing line here in-house! With the combination of our large inventory and 94,000 square foot manufacturing facility, which includes our specialized galvanizing line, Portland Bolt was able to ship the bolts, nuts and washers out in just one week. Aside from our wide range of stock-sized 3/4″ timber bolts, Portland Bolt can easily manufacture nonstandard sizes in diameters ranging from 1/2″ through 1-1/2”. If you are in need of some galvanized timber bolts, give Portland Bolt a call! We have experienced estimators waiting to take your call and assist you with your fastener needs!